I just read this article and thought you might want to give it a read, too. It\'s called 6 winter escapes for every budget and you can find it here https://www.orbitz.com/blog/2018/02/6-winter-escapes-for-every-budget/. Had enough of winter? Ready to trade in your knit cap and steaming hot chocolate for a straw hat and margarita? It’s not too late to dodge a few snowflakes. Here are our top picks for a winter getaway—no matter your budget. Every winter the beaches of Mexico’s Yucatan Peninsula flood with vacationers looking to escape the cold. 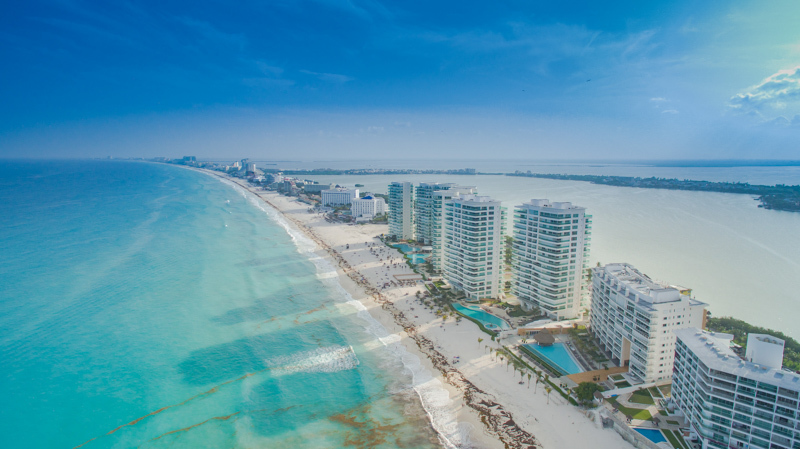 It’s a great place to tap into the competitive landscape of one of the biggest resort areas on the planet: High season flights to Cancun International Airport are at lowest prices during spring (April and May) and, once on the ground, there are plenty of hotels to accommodate every budget. 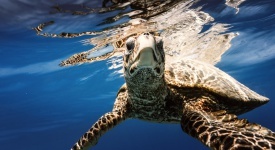 But don’t sweat the throngs of other vacationer goers; even with lots of flights landing daily there are still plenty of great places to lay your beach towel in Cancun or at nearby popular beach areas like Cozumel, Playa Del Carmen and Tulum. 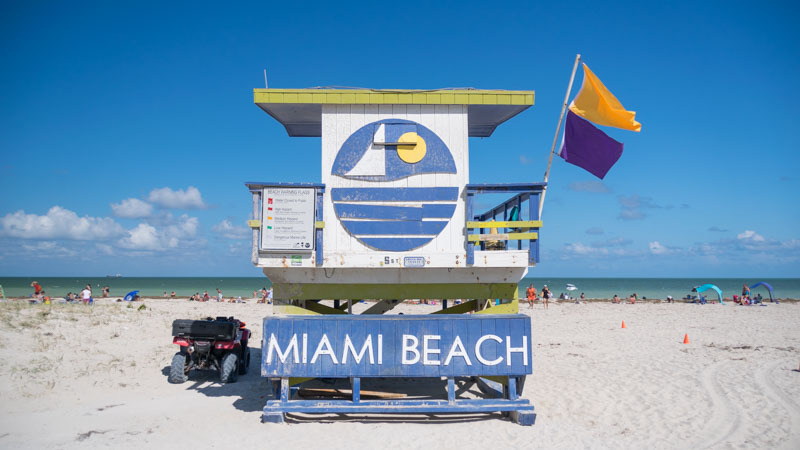 You might not expect to find glitzy Miami in the budget category, but the city can actually be easy on the wallet if you know where to look. If you’re on a budget, focus your hotel search a few blocks off the beach or look beyond South Beach to nearby Mid Beach or North Beach; you’ll get the same gorgeous waterfront, but have plenty of cash leftover for good food and fun. 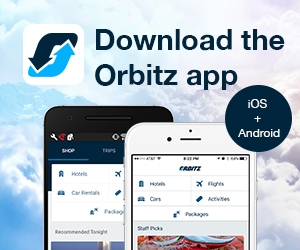 And don’t forget: You can now book apartments on Orbitz, which can save even more dough. Aside from the beach, there are lots of great activities in Miami that don’t cost a thing, like walking around the enamel covered Wynwood Walls, a series of stunning murals in Miami’s hip art enclave. Being a big city, the dining options are endless, but some of the best eats are the affordable local favorites like Versailles found in Little Havana. 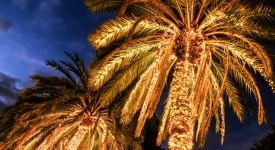 With a little creativity and planning, you can have an amazing winter escape in Miami that doesn’t break the bank. In the far south of the Caribbean is the stunning island of Aruba, which has more to offer than just white sand and pretty beaches. 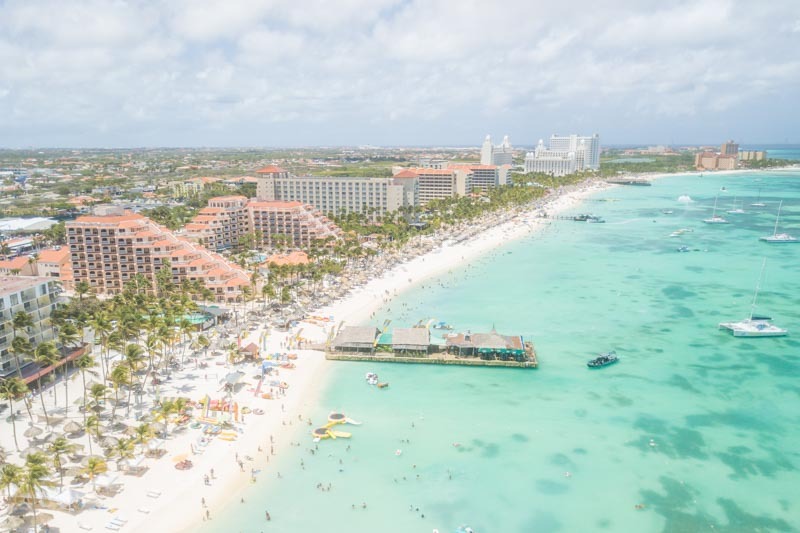 Aruba has resorts and hotels at every price range but is a solid choice for those looking for a mid-range winter vacation. For under $200 nightly, you’ll get a nice room right on the sand overlooking the many shades of blue water outside. Don’t forget to save a few bucks to rent a Jeep. What most visitors don’t know about Aruba is that one side of the island is the one everyone imagines with honeymoon-worthy beaches, and the other is windswept and full of cacti and adventure. ALSO: A great way to travel for less? 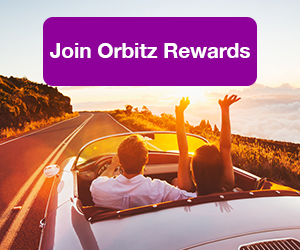 Join Orbitz Rewards and start earning Orbucks immediately. 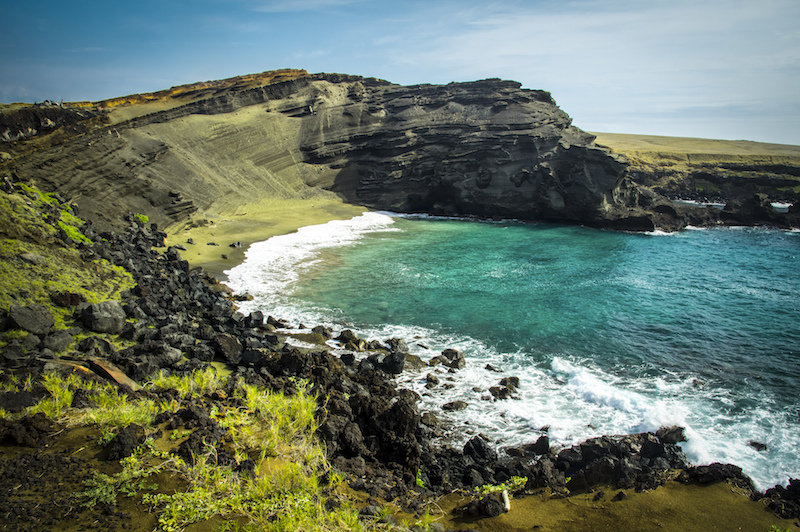 Even though the overall price tag puts the Aloha State in the mid-range level, the sheer distance traveled and amazing things waiting for you make a trip to Hawaii a pretty good value. Mid-winter is the perfect time for your escape: The weather is amazing and the whale watching is plentiful. 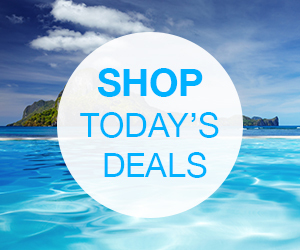 For under $200 nightly, you shouldn’t have trouble finding a seaside room in Maui or Oahu. 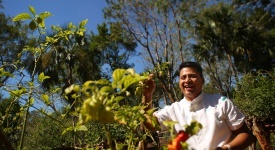 Budget dining options like food trucks abound and activities like hiking, sunbathing and enjoying intoxicating sunsets are always free. If you think you can’t afford to make it out to the Aloha State, you might want to check again; Orbitz offers some great airfare rates for many cities across the US. 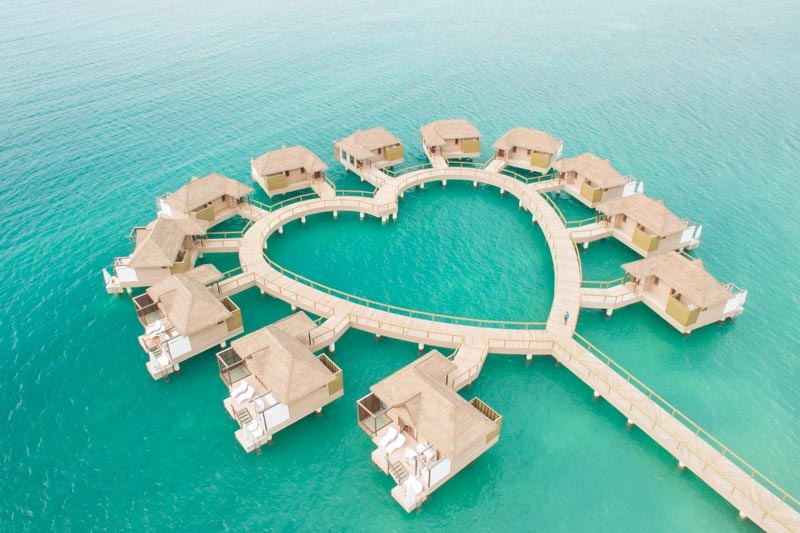 It doesn’t get much more splashy in the Caribbean than the brand new overwater bungalows at Sandals South Coast. Live in the lap of luxury in one of 12 villas suspended over the warm Jamaican waters. To add to the appeal of these über luxurious rooms, they built them into the shape of a perfect heart—talk about romantic! Overall, Jamaica is a great winter escape with many other accommodations leaning toward the mid-range category. Even if your bank account is missing a few zeros, keep Jamaica in the running for a place to visit this winter. 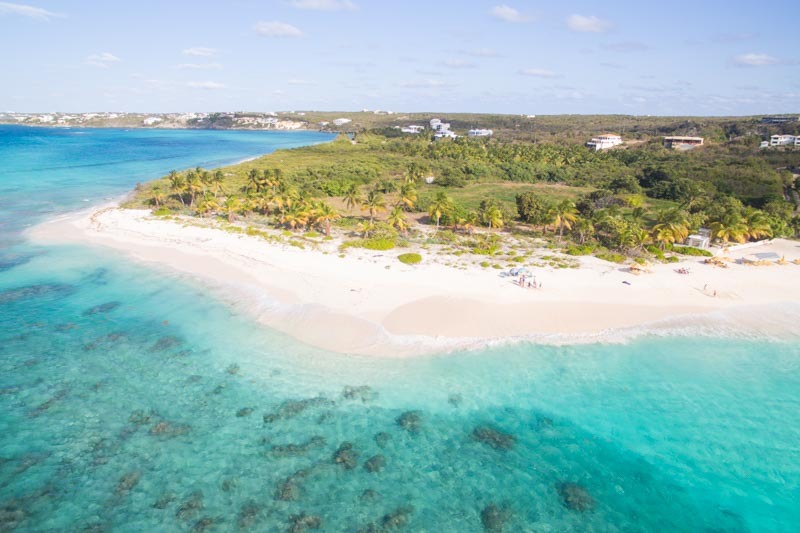 The small Caribbean island of Anguilla is a luxurious gem hiding just a few miles away from bustling St. Martin. The island is filled with posh villas fit for celebrities, which it does host often. In front of the villas are powder white sand and water so clear it glows bright blue in the sun. The sense of luxury continues at the dinner table with an abundance of local crayfish, which are almost the size of lobster and taste even better. If you’re looking for an under-the-radar place with all the bells and whistles, look no further than Anguilla. Hannah & Adam are travel writers & photographers who have called the road home since 2013. 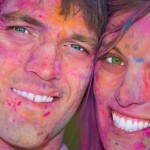 Their passion for adventurous travel has brought them to 60 countries and counting. They blog about their adventures on their travel blog GettingStamped.com.